This Memorial Day weekend, many Mississippians will be heading out on the water. 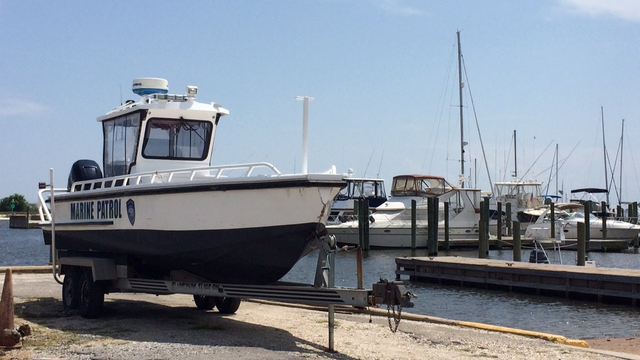 MPB’s Evelina Burnet reports, officials are encouraging boaters to stay safe. The U.S. Coast Guard says there were 30 boating accidents in Mississippi in 2015, the most recent year statistics are available. Ten people died and 10 others were injured in boating accidents that year. "The most common accidents are collisions, person in the water," says Chief Petty Officer Jonathan McMurry, the executive petty officer at Coast Guard Station Gulfport. "And, especially on holiday weekends like Memorial Day weekend, we have a lot of drinking and boating type of incidents." Boat operator inattention and inexperience are also some of the primary contributing factors to accidents. Mississippi Department of Marine Resources Lt. Patrick Levine also reminds boaters to have their safety gear - including life jackets for everyone on board. "Make sure those kids have them on, and we want to encourage those adults also – you don’t have to be ashamed or scared to put on life jacket" he says. "It can save your life, so take the opportunity to put it on. And if you're not going to wear it, make sure it's readily accessible." Nationally, about three-quarters of deaths in boating accidents were drownings; 85 percent of those who drowned were not wearing life jackets.